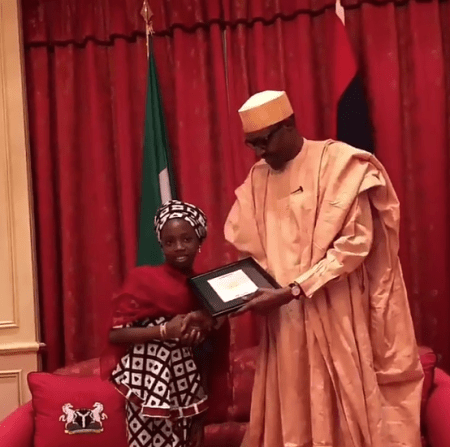 President Muhammadu Buhari has hosted the 10-year-old girl who wrote him a letter to visit him at the state house, and two of his young admirers in his office at the presidential villa, Abuja. 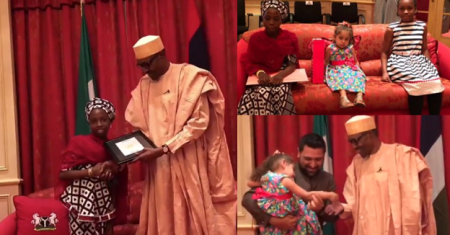 Ms. Benson, a nine-year-old pupil of Greensprings School Lekki in Lagos, made headlines prior to the 2015 presidential election when she donated her lunch ticket to then candidate Buhari as her contribution to his presidential campaign. 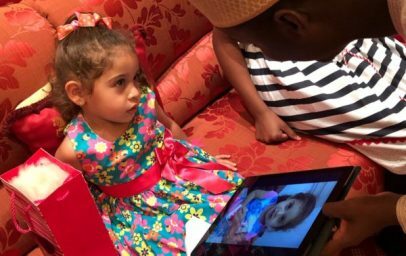 Maya Jamal, the three-year-old daughter of a popular social media user, “White Nigerian” was seen in a 10 second video praying for the quick recovery of Mr. Buhari while he was in London receiving treatment for an undisclosed ailment. 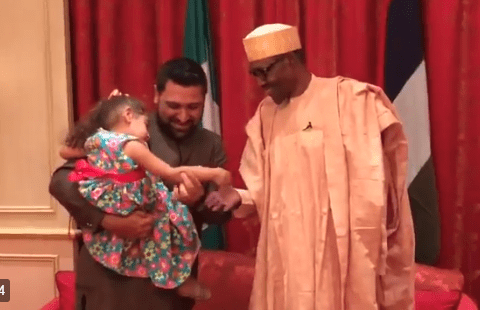 Aisha, who is a 10-year-old from Bauchi, penned a letter seeking a face-to-face meeting with the president, which was posted by her niece, Huseini Gebi, asking for a retweet to make her dream a reality. 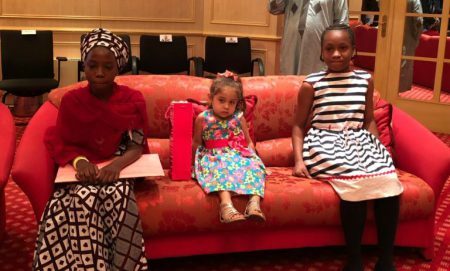 Her wish was granted as the three kids spent about 30 minutes with the president Monday morning.